The law firm prides itself on keeping rates reasonable for its clients. The typical range of fees for an entire estate plan for a husband and wife is between $500 and $2500, depending upon the degree of complexity involved. Fees for single clients will normally be lower, and of course in more complex situations fees will be higher. The law firm also offers free initial consultations and two all-inclusive fixed fee estate planning packages: a Will Package priced at $500 for individuals or $800 for a married couple (compare elsewhere at $750 for individuals and $1050 for couples), and a Trust Package priced at $1,100 for individuals and $1,500 for couples (compare elsewhere at $1,550 for individuals and $1,950 for couples). Both packages include living wills, healthcare directives, financial powers of attorney and a beneficiary deed for the clients' home. The Trust Package also includes pour-over wills, as well as special documents which avoid probate on the clients' home contents and other non-titled tangible personal property, including jewelry.﻿ Please call for details. All fees are quoted up front, and for standard estate plans clients pay only the lower of a fixed ceiling or the law firm's normal billing rates. The firm offers interest-free deferred payment plans, and credit card payments are also permitted. The firm is distinctive in that it never charges clients for follow-up phone calls and emails making sure the clients' trust is properly funded, including working for free with the clients' financial advisors. **Note that if you work for a company in the St. Louis or Metro East area, the company may offer an optional legal plan as part of your employment package, including plans such as Hyatt/Metlaw or ARAG. 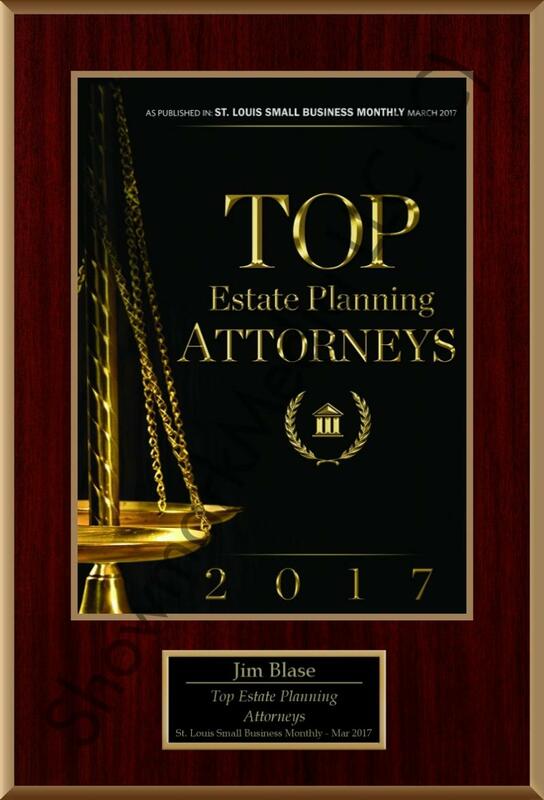 So be sure to check for this, as Blase & Associates, LLC is a participant in most of these legal plans. Copyright 2016 Blase & Associates LLC. All rights reserved.